Friday Flashback with the #6FrameStoryChallenge! 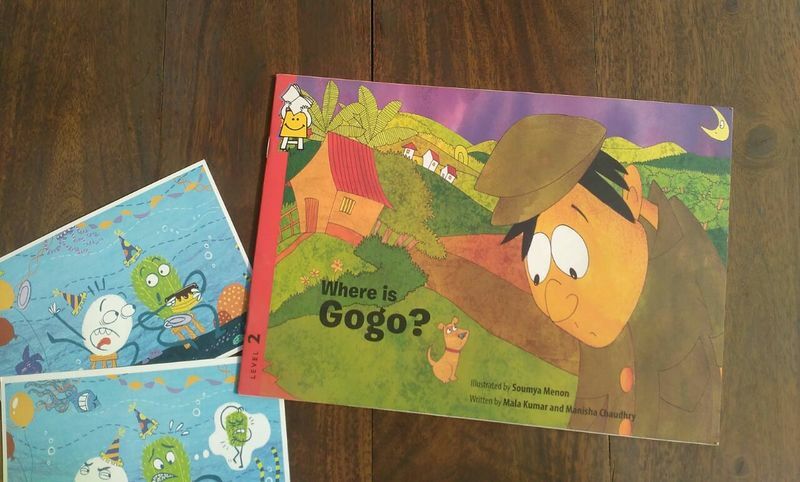 In January, 2015, Pratham Books sent out a big, bold ask into the universe! We asked illustrators to delight millions of children by creating a story in 6 frames and donating it for free under the CC-BY 4.0 license! The illustrations were then to become a part of an open-source, digital repository of magic! Stories and illustrations in languages from around the world, all openly-licensed and available for free. Yup! You guessed it: StoryWeaver! But back then, it was just a twinkle in the eye of Pratham Books’ ambitious team! We shared a word cloud for the illustrators to use as themes and even wrote 6 simple narratives and shared them online for those illustrators who wanted a ready-made story. The response was overwhelming and in a sense, a true indication of the immense potential of community and collaboration! What had started as an experimental campaign soon blossomed into a carnival of art, birthing 450+ new illustrations. From watercolour and digital art, to simple black and white drawings, the entries were hugely diverse. Archana Sreenivasan, Niloufer Wadia and Jithin Jacob were the three winners of the contest. You can read the stories created with their illustrations here, here and here. Some of these illustrations were used by Pratham Books to create delightful new stories (in English and Hindi) for early readers. While we're in the process of uploading all the #6frame artwork to StoryWeaver, we thought it would be wonderful to look back at some of the entries submitted for the contest and share them with our ever-growing community of children, authors, illustrators, translators, parents and educators! Every Friday, we’ll be sharing an illustration from the #6FrameStoryChallenge. 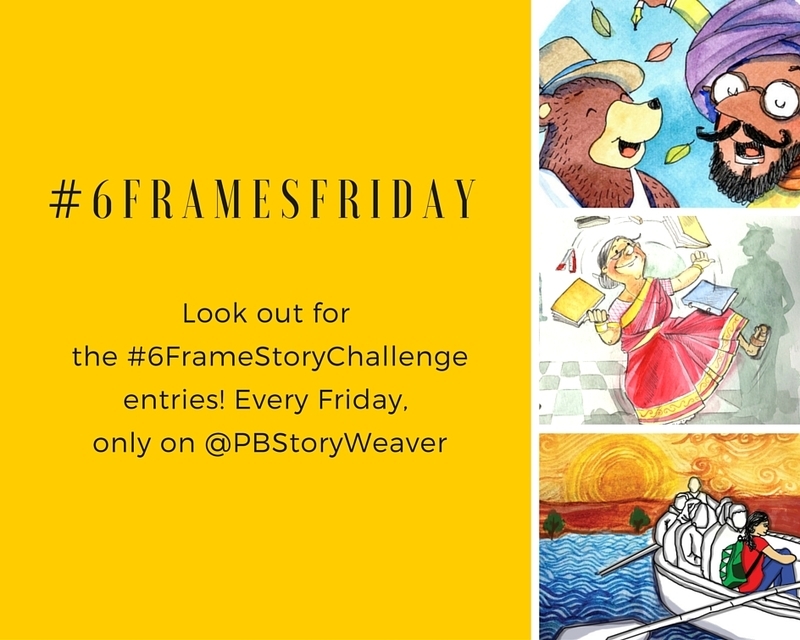 So look for #6FramesFriday on @PBStoryWeaver on Twitter and Instagram and Facebook. Tell us which ones you love, create stories with them on StoryWeaver, or just lose yourself in their beauty! See you every Friday! We promise to make your weekend fun.